DCU started the development of 560 new student beds on the Glasnevin campus last week. The new residences will be built on part of the existing soccer pitches with the plan to reinstate the pitches after the construction is completed. The location of the new relocated pitches has not yet been decided. Coady Architects has been selected to carry out the work, DCU’s Chief Operations Officer Declan Raftery told The College View. 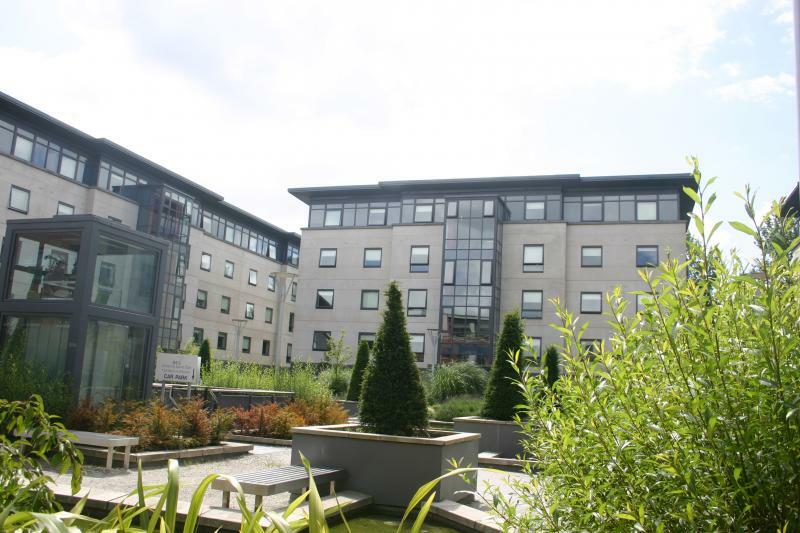 DCU are also planning on creating an additional 290 student beds on the All Hallows campus. There were just 2,930 properties available to rent on the first day of August 2017, the lowest level ever recorded, according to a Daft.ie report. DCU wants to ease the pressure students face when trying to attain accommodation for term time. While DCU are happy that they are making steps to ease the accommodation crisis students are facing, they admit that it is not enough. “You have 850 beds in the next space which is really far away from where we want to be, we need to get a lot more,” said Professor Brian MacCraith, President of DCU. The university is also in discussion with other locations to try and secure residential units near the campuses for student use. “Obviously the ideal thing is to put as many blocks of student accommodation on our campuses themselves but proximity is the next possible thing,” said MacCraith. One such possibility is the Lidl site in the Ballymun region. Planning permission was granted to build social housing on the site, which could potentially be used as a student block according to university officials. “We are all the time trying to get significant leaps forward in terms of student accommodation,” MacCraith said. The construction of on campus accommodation is part of DCU’s €230 million expansion plan which commenced in 2016. The expansion plan had five sources of funding but was dominated by low interest rate, long-term loans from the European Investment Bank (EIB) and the Ireland Strategic Investment Fund (ISIF). The plan also includes restructuring buildings to increase the number of lecture halls and the construction of a new student hub which is due to be completed before the end of this academic term. The student hub was started before the accommodation because of the need to keep construction sites on a campus separate from each other. The student hub is to become the central place for activity on the Glasnevin campus but DCU wants to make sure that it is a place students from all three DCU campuses can enjoy and utilise.